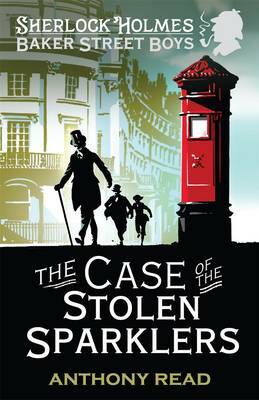 This is the fifth title in a thrilling, fast-paced adventure series about Sherlock Holmes' gang of street-urchin detectives. When Lady Mountjoy's diamond tiara goes missing, Polly, one of the maids, is accused of the theft. But Polly didn't do it. Discovered by the Baker Street Boys, out of a job and with nowhere to go, Polly begs them to help her - and so they find themselves with another mystery to solve. Wiggins hits upon a plan: why doesn't Queenie apply for the newly vacated job, infiltrate the house and see what she can find out? It seems there are certainly things to be discovered: Lady Mountjoy is broke and in desperate need of money, she has a wastrel brother living with her as a hanger-on, and both of them know Professor Moriarty...This title is based on a popular 1980s BBC television series by the same author. It features exciting historical adventures, ideal for encouraging both boys and girls to read.